Born in Rochester New York (July 5th, 1970) and raised in Georgia, Chicago, and Arizona. This 33- year native of Arizona served in the Prescott Culture Wars for eighteen years 1994-2012. 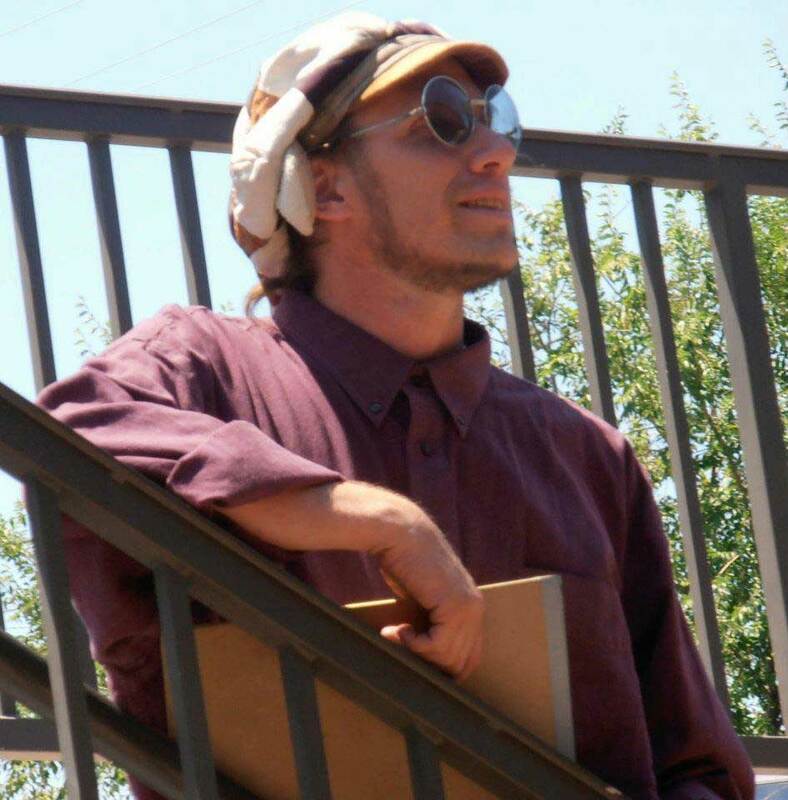 He is the founder of Mural Mice Universal and directed the Prescott Downtown Mural Project, a public arts initiative from 2005-2011. He has been placing murals throughout Arizona for the past 14 years. In 2015, he worked with artists Sky Black and Maggie Dewar to place the Sound of Flight mural on the Orpheum Theater. It is currently the largest mural in Arizona. After five nominations for the Flagstaff Viola Awards, he and Maggie Dewar won the 2018 Viola Award for Excellence in Visual Arts. He currently resides in Flagstaff Arizona. He is prolific in mixed medias, which include calligraphy, Pen and ink, acrylic / oil painting, and airbrush. He is inspired by community expression through the arts. Born and raised in Potsdam New York (January 30th, 1983), Margaret moved to Prescott in 2006. She is co-founder of Mural Mice Universal and director of the Mural Mice Theater Company. 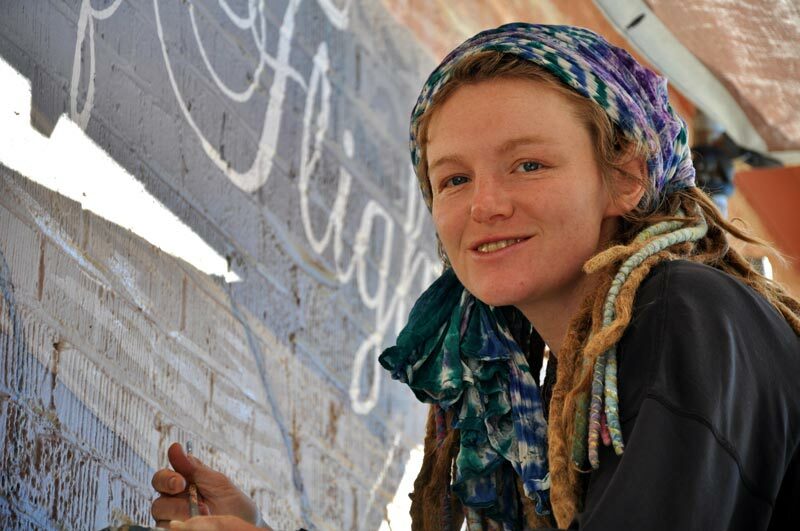 She is an actor, director, and has co-produced and painted four murals in downtown Prescott. Maggie rides unicycles, climbs mountains, doodles, and loves soccer. She is a freelance artist and clown in her spare time. The spirit within the Prescott community inspires her.